With all of the talk today about tax reform, I am still surprised that the majority of people I talk to, from business owners and executives to rank and file employees, few people understand or take advantage of the many tax benefits of retirement plans. We are living much longer, and the amount of money people need during their retirement years has increased. In this article, I will highlight the many benefits to both the employer and employees participating in their company plans on how to begin and then maintain an effectively-designed retirement plan. I will also address a few other tax-advantaged savings plans such as Simple IRAs, SEP IRAs, Roth IRAs and Health Savings Accounts (HSAs), which can help supplement the workplace retirement plan. The SIMLPLE IRA, for employers with fewer than 100 employees is employee-funded, requires a small match from the employer and allows for contributions up to $12,500 plus another $3,000 “catch-up” contribution for those over the age of 50 (for 2018). At a minimum, the SIMPLE IRA allows for both the employer and their employees to save for retirement without a lot of cost or hassle. Some plans allow for fees to be paid by the business for additional tax incentives. The other qualified IRA to be established by a business is the SEP IRA. This is only employer-funded and allows for discretionary contributions up to the lessor of 25% of pay or $55,000 (for 2018). The SEP IRA can be set up for sole proprietors, partnerships, corporations, non-profits and governmental entities. It can be established up to the tax filing deadline, including all extensions. There are no reporting or filing requirements either. For business owners who would like to defer more for themselves and their employees, as well as have additional options available to them, a 401(K) PROFIT SHARING PLAN may be a good choice. As previously stated, many financial advisors, business owners and their CPAs do not fully understand how to maximize their ability to save for retirement tax-efficiently with the help of these plans. I experience this week after week during my consultations with business owners. Often times they often ask “why didn’t my CPA or financial advisor tell me about this?” I’ve digressed. Employees can contribute up to $18,500/year, plus another $6,000 for those over 50 years of age (2018 limits). Participants may also have the option to deduct the compensation as a Roth contribution with no income restrictions, like a Traditional Roth IRA would have. There are many tax benefits with ROTH CONTRIBUTIONS, the most impactful being tax-free distributions at retirement (no tax on the gains) assuming you have had the account for 5 years and are over the age 59 1/2. There are also possible benefits to their heirs, as their distributions are not taxed. Employer match dollars are deposited into the pretax portion of the employee’s account. Your Roth contributions are indicated separately on your statement. Your investable assets, however, are all in the same bucket and invested however you have set up the portfolio. The employer makes contributions to the plan through a number of match formulas and discretionary profit sharing options. These contribution limits are the same as the SEP IRA, with the lesser of 25% of pay or $55,000 (for 2018). Keep in mind that future tax laws can change at any time and may impact the benefits of designated ROTH accounts. For those business owners (including owner-only) who would like more of a contribution from the business, you could consider adding a DEFINED BENEFIT PLAN OR A CASH BALANCE PLAN. Defined benefit plan contribution limits are not expressed as an annual limit but rather based on a benefit at normal retirement age. These plans are rather complex and require the help of actuaries, but because the benefit limits help both the employer and the employees, these “combo” plans are potentially worth the small amount of time it takes to explore. In addition to the qualified plans offered by the employer, employees still may qualify for an INDIVIDUAL IRA OR ROTH IRA. Both of these allow an individual to contribute up to $5,500 plus an additional $1,000 if you are over age 50 (for 2018). Income limits vary whether you are single or married and whether you or your spouse participate in an employer-sponsored plan, but there are still advantages to setting up an Individual IRA or Roth IRA that should be considered. Last but certainly not least, if your employer offers a high deductible health plan, you can also contribute to a HEALTH SAVINGS ACCOUNT (HSA). I will take a deeper dive in a future article to explore the HSA, but worth noting are the triple-tax benefits of tax deductible contributions, including social security and Medicare to the HSA, tax-deferred growth and tax-free distributions (as long as they are for health-related expenses). There is no other savings vehicle I know if that offers the triple tax advantage. If you are an employer that may benefit from tax reform, or if the success of your company allows you to afford contributions over and above your current savings program(s), you should consider a review of the options available to you and your employees. The Fragasso Retirement Plan Advisors are here to help both business owners and employees save for retirement. For a no-cost, no-obligation appointment to review options available, please contact the author of this post, Senior Vice President, Retirement Plan and Institutional Advisors, ROBERT YELENOVSKY, AIF® at 412.227.3249 or email at ryelenvosky@fragassoadvisors.com. This information was created for educational and informational purposes only and is not intended as ERISA, tax, legal or investment advice. Contributions to a traditional IRA may be tax deductible in the contribution year, with current income tax due at withdrawal. Withdrawals prior to age 59 ½ may result in a 10% IRS penalty tax in addition to current income tax. The Roth IRA offers tax deferral on any earnings in the account. Withdrawals from the account may be tax free, as long as they are considered qualified. Limitations and restrictions may apply. Withdrawals prior to age 59 ½ or prior to the account being opened for 5 years, whichever is later, may result in a 10% IRS penalty tax. Future tax laws can change at any time and may impact the benefits of Roth IRAs. Their tax treatment may change. 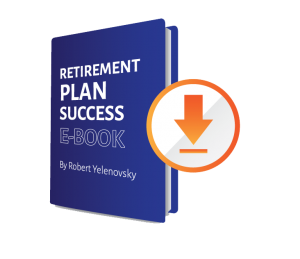 Download the Retirement Plan Success e-book! Fragasso Retirement Plan Advisors focus exclusively on employer-sponsored retirement plans. As a fiduciary consultant, the guidance that we provide to plan participants and sponsors takes a complex world and it makes it easy to understand! 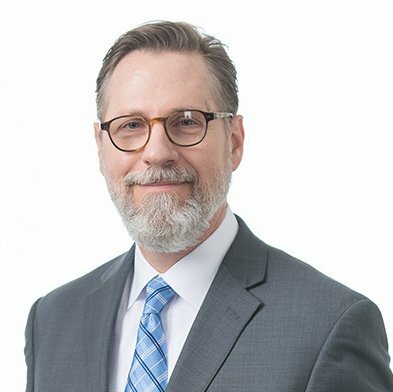 Listen to Robert Yelenovsky discuss Employer Retirement Plans! on this episode of The Advisor! Employer retirement plans are not only a concern for business owners, but also for individuals who participate in a company sponsored retirement plan. Employer retirement plans have undergone a lot of changes in recent years. Today’s plans involve fiduciary standards. We will discuss what exactly that means and why it is so important. Most employees are not experts in investment choices and educational programs at the participant level is lacking. Participants should understand why is needed to retire comfortably and how the wrong investment choices can derail their financial security. As an employer, you now need to comply with the pending Department of Labor fiduciary rule. What does that mean, and what other questions show an employer ask of their retirement plan provider? In the 2nd half of this episode, Rob helps us make sense of all of these factors. He will also offer some advice on fee evaluations, service providers, investment choices and the importance of participant education. Investment advisory products and services offered through Fragasso Financial Advisors, a registered investment advisor. Securities offered through Private Client Services, Member of FINRA and SIPC. Fragasso Financial Advisors and Private Client Services are unaffiliated entities. Fragasso Financial Advisors is a Securities Exchange Commission registered investment advisor located in Pittsburgh, Pennsylvania. Fragasso Financial Advisors and its representatives are in compliance with the current filing requirements imposed upon Securities Exchange Commission registered investment advisors by those states in which Fragasso Financial Advisors maintains clients. Fragasso Financial Advisors may only transact business in those states in which it is registered or qualifies for an exemption or exclusion from registration requirements. Please consult with Fragasso Financial Advisors for further clarification of state registrations.